Whether you’re the parent of a preschooler, a kid in grade school or a teenager navigating the complexities of high school, you – and you’re child – can use all the help you can get. Here’s our top recommendations for kids of all ages. This visually captivating, award-winning children’s book tells the true story of Alan, who is only fluent when speaking or singing to animals at the Bronx zoo. While it’s complex ideas may be best for upper-elementary aged children, further exploring Alan’s current grown-up life via the internet should boost the confidence of those who think stuttering makes them “stupid” or “less than”. You can buy the book here. Children with selective mutism often feel alone and different, especially at school. This sweetly illustrated book is perfect for preschool and early elementary students who wonder if there is anyone else out there like them. Maya’s Voice is available here. Written by a speech-language pathologists, this book follows Michael, a boy with apraxia whose mouth just won’t cooperate with what his brain wants to say. 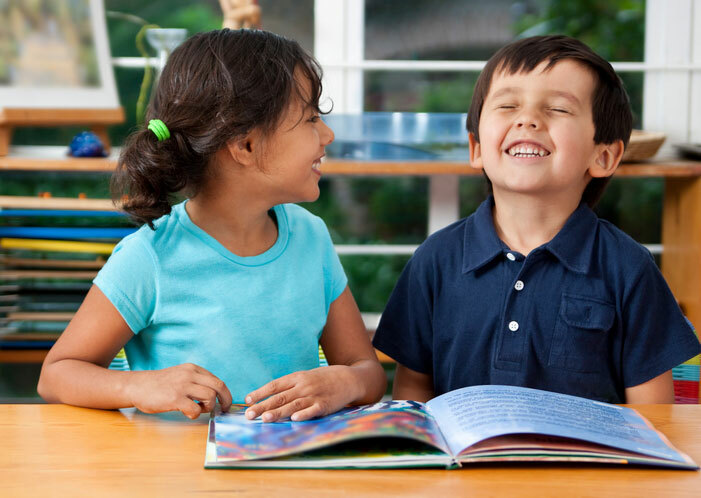 Touching on school, speech therapy, and the frustration of having a speech disorder this book will give your elementary-aged child a friend who’s “been there”. The book is available here. Winner of the prestigious Newberry Honor award, Paperboy follows 11-year-old baseball ace Victor, who dazzles on the field but stutters impossibly in the real world. When he takes over his best friend’s paper route for a month Victor encounters accidental friendship and unexpected danger behind the doors of the houses on his route. Paperboy can be purchased here. Rosalind can speak at home, where it’s safe, with family. But in out in the bigger world? The words just won’t come out. In the face of teasing and loneliness at her new school, Rosalind starts a blog: Miss Nobody. Now she has a place for her voice to be heard. But what happens when the bullied starts to become the bully herself? Much loved by pre-teen and young teen girls, Rosalind’s story can be found here. From the much-loved author of Ida B., True (…Sort Of) follows the irascible Delly, whose love of adventure is about to land her in reform school. When Delly becomes friends with Brud, a boy who stutters and Ferris, the new girl in town who doesn’t speak, each child experiences deep changes only the influence of true friendship can bring about. True (…Sort Of) can be found here. As if being the only native American in an all-white farming town wasn’t awkward enough, fourteen-year-old Junior also stutters and speaks with a lisp. This witty, edgy novel pulled in a National Book Award and the applause of even hard-to-please teen boys across the US. Best suited for older audiences, you can purchase the book here. Olympic gold medalist, UFC champion, and Hollywood Star—Rhonda Rousey’s life demonstrates that even severe speech disorders don’t have to hold a person back. Though the disorder is never mentioned by name in the book, Rousey’s battle to overcome apraxia was just one of the many difficulties she faced on the road to success. Best suited for older teens, the book can be purchased here. This magical story follows a boy and his dog as they journey through New York City as they search for a Very Important Book. Walter Lavender Jr. doesn’t let his motor speech disorder or the disappearance of this father prevent him from exploring the world and becoming the person he was meant to be. The Luster of Lost Things can be found here.